We aim for the top, but always reach higher, to achieve the quality of our work. This gives all our customers full satisfaction, in return they would always recommend us to the next customer. For any further information on all our services, quotes, products or special offers please see our contact details below. Please state what it is you are enquiring about so the correct member of staff can contact you. Thank you for visiting our site, and hope we have been of some help to you. 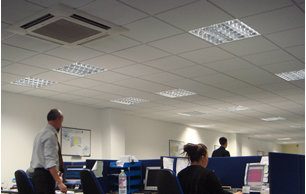 Copyright © 2007 Comfort Cooling Installations Ltd.